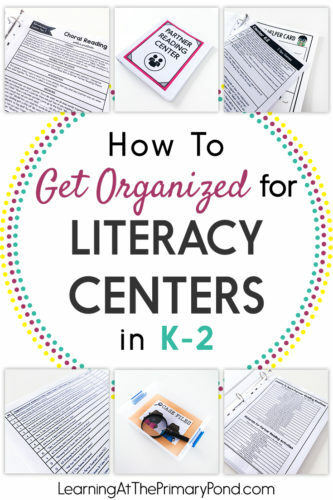 Having your literacy center materials organized can save a LOT of time! 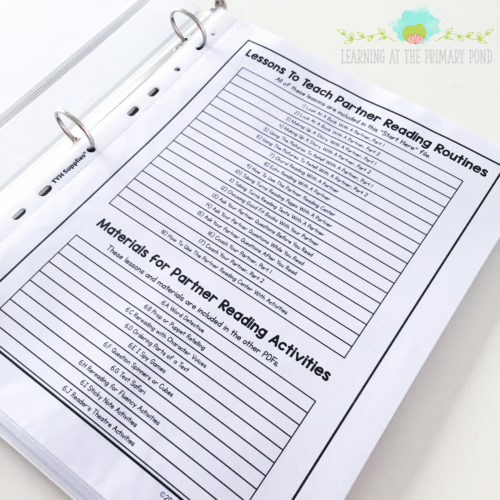 So in today’s post, I’m sharing literacy centers organization ideas for your own (teacher) stuff and the kids’ stuff! 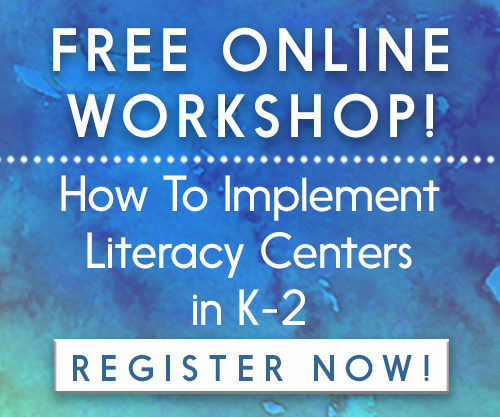 In the past, my own biggest problem has been that I forget what materials and options I have for literacy centers. My solution to this was to create a running list of materials and ideas for each center. 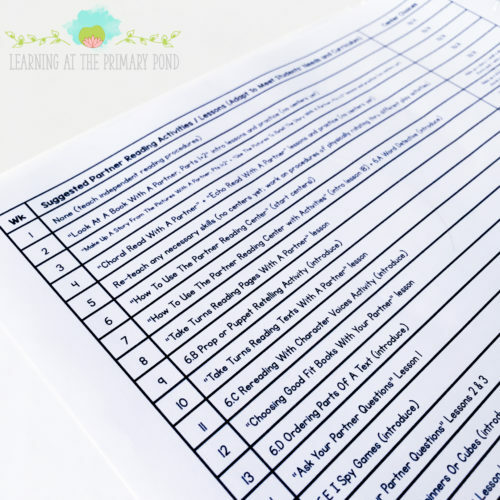 That way, when it’s time to plan centers, I can look at the list, determine what would best match what we’re working on, and choose centers quickly. The very first page of the binder is that materials list for the center. 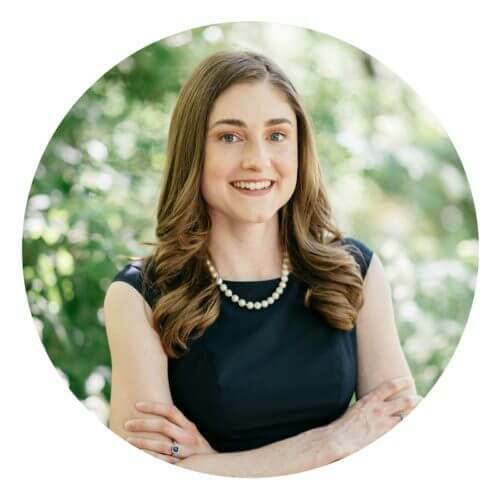 Then, I include a yearlong schedule for introducing the materials. If I want to make changes to the schedule, I can easily draw arrows or move things around, but it’s nice to have something to start with. Next, I include the lessons I use to introduce the center at the beginning of the school year. 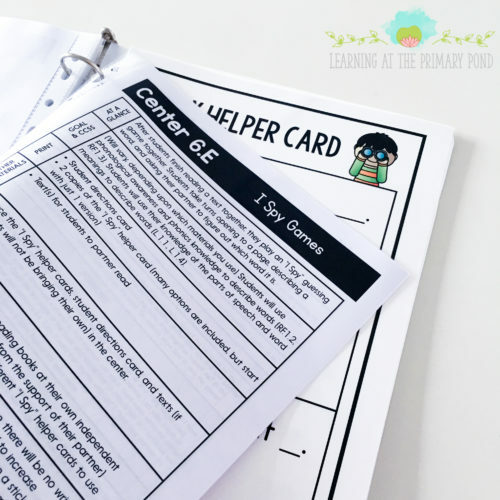 It’s nice to keep these lessons handy throughout the school year, because when things go awry (aka kids aren’t using the center correctly!) I can refer back to the initial lessons and do some re-teaching. 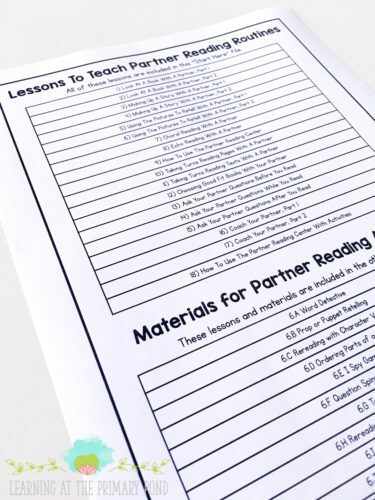 Following these introductory pages, I include the actual printable materials students will need for the different activities. You can find those tubs on Amazon HERE. Now let’s move on to the kids’ stuff—the actual materials they will need to do the centers activities! First, I have my students bring their own individual book bags to centers. 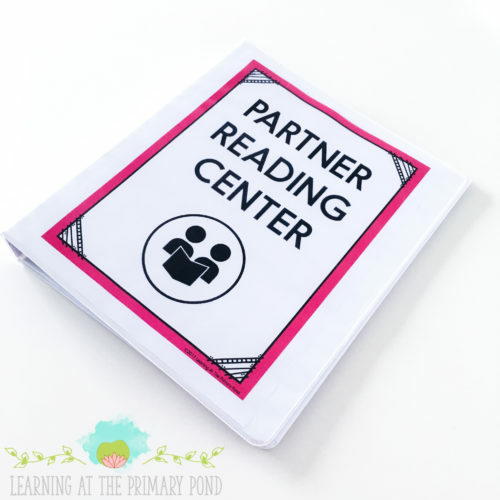 They use them in the independent reading center, reading response center, partner reading center, and sometimes even the writing center. 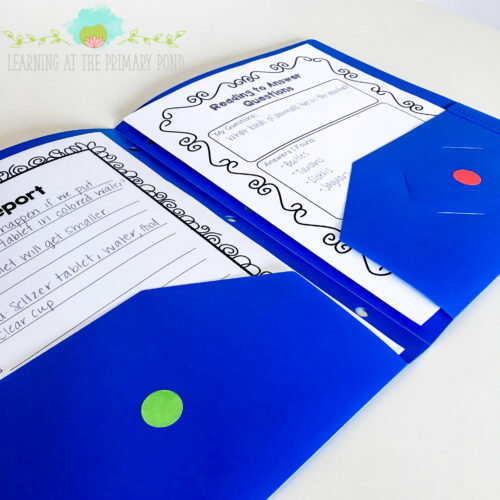 I also give each student a sturdy independent work folder to use. 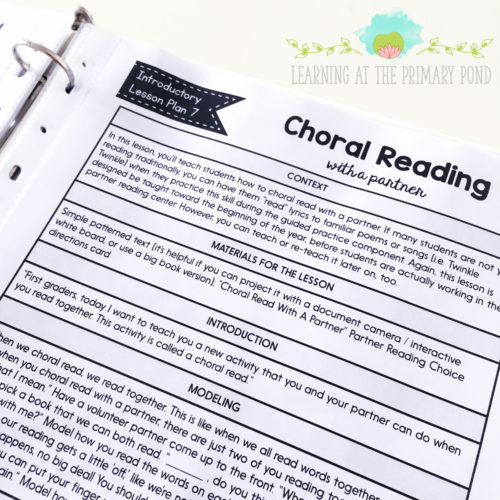 ALL of the student’s paper-and-pencil work for centers goes in the folder. The side with the red sticker is for finished work (aka work that I can review) and the side with the green sticker is for work in progress. Then there’s all the other centers “stuff.” What to do about that? My personal preference is to keep everything students will need for a center in one or two plastic storage tubs. I don’t keep a tub for every single separate center activity, because I typically use the materials for other purposes throughout the year. My binder and own tub(s) for the center serves as my “bank” of activities, and then I gather other materials from other classroom storage areas. Do you have any great storage ideas for centers? Please leave a comment below! 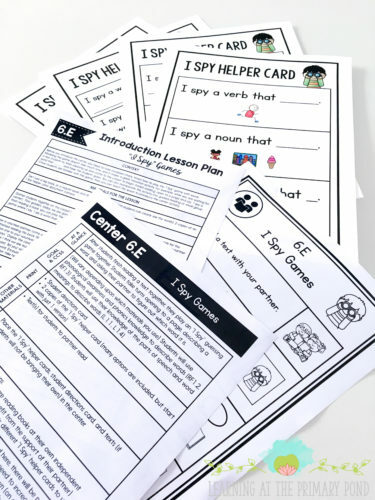 If you’re looking for the materials lists, lesson plans, and activities featured in this post, you can check out my kindergarten, first grade, or second grade centers bundles HERE . Wonderful.Full of new information about reading.THANKS. more to come.looking forward to . You are so organized and I love your materials. I am hoping to begin to organize all of the literacy centers and guided materials over Winter Break. I am not born-organized so posts like this are really helpful. 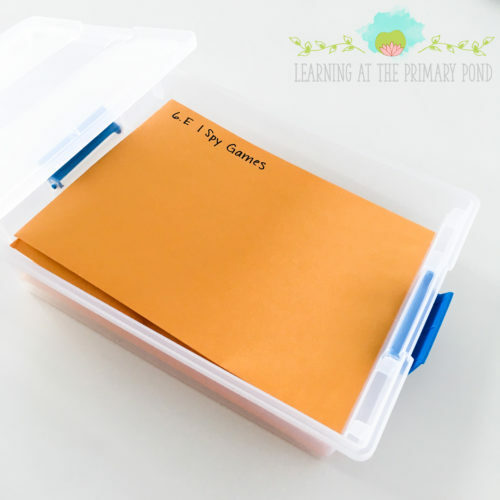 This probably sounds silly but can you elaborate on how you organize the students’ centers versus how you organize the centers still in storage? I struggle with this. Hey Amy!! Not silly at all! 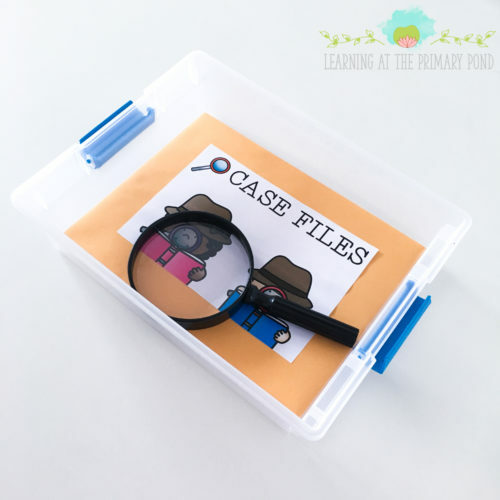 It’s a little confusing because I use the same type of storage boxes for my stuff (when it’s not “in rotation” as an option for the kids) and the kids’ stuff. Basically, in each center is a bin. The materials kids will need for the center are in the bin. In an identical bin (on my own shelves), I have manila envelopes. In each manila envelope, I have the prepared materials that will eventually be in a center (or something we did before and will do again). I think so. 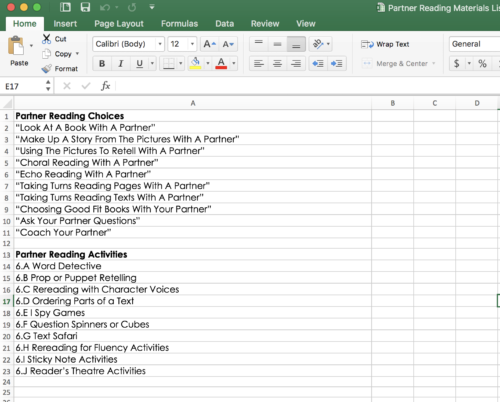 I use a Daily 5 model where students have choice. Do you have multiple word work centers out at a time for students to choose from or do they all do the same center?